What Is the Natural History Museum of Utah? It’s a fantastic museum detailing the natural history of the state of Utah. 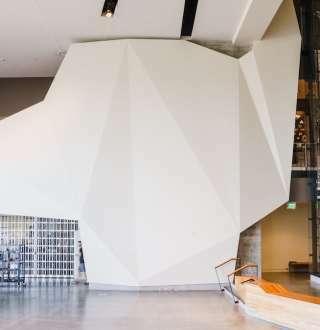 Tons of cool interactive exhibits, from minerals and metals on up to the flora and fauna, make the museum an excellent educational centerpiece for any trip to Utah. But even better, it has dinosaurs. Lots of dinosaurs. Utah is one of the world’s richest areas for dinosaur-fossil discovery, and the museum’s impressive exhibits of skeletal giant reptiles from the past make it a must-stop. The Natural History Museum of Utah has been a Utah institution and repository for natural wonders since the mid-20th Century. The original museum was located in a small building on the University of Utah campus. However, its vast and ever-growing collection of fossils, flora, and fauna specimens and Native American artifacts was mostly locked away from public view. In 2011 the museum was moved to the Rio Tinto Center, a 163,000-square-foot architectural wonder in the foothills of the Wasatch Range. 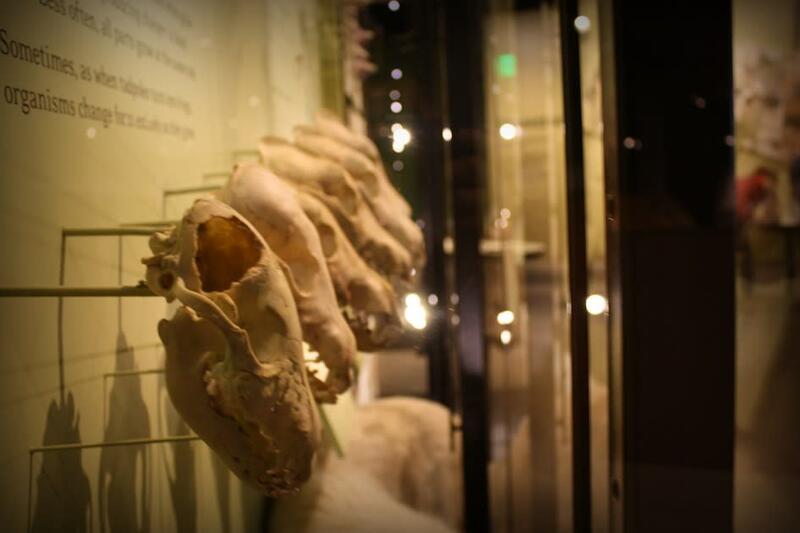 The museum was designed to to provide an exquisite space with plenty of room to display natural wonders, illuminate minds both young and old, and provide a working laboratory for researchers continuing to delve into the mysteries of Utah’s natural history. 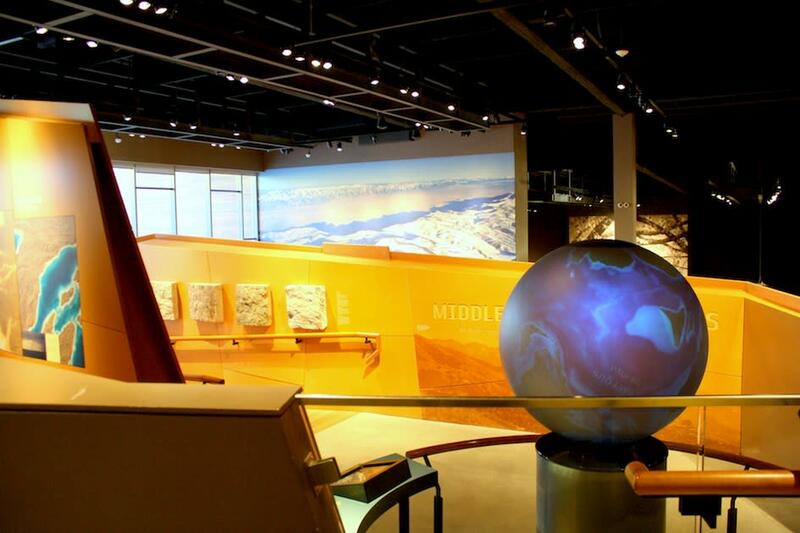 The museum walks visitors through the entirety of Utah’s natural history, starting literally at the bedrock and moving through the beginnings of life here in the former lakebed of a giant prehistoric body of water called . The museum’s wandering path will take you through a series of hands-on and interactive exhibits. The museum’s wandering path will take you through a series of hands-on and interactive exhibits. 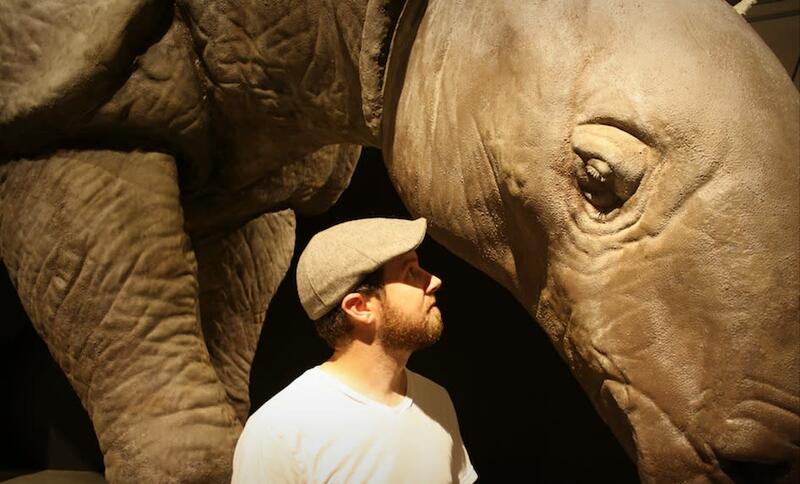 Learn about the interconnectedness of all things in this series of exhibits exploring the complexity of life on Earth from DNA’s building blocks on up to intricate ecosystems, with a focus on Utah’s extraordinary biological diversity. A journey through three distinct physiographic regions formed over millions of years, this exhibit showcases the very beginnings of Utah’s Middle Rocky Mountains, Basin and Range, and the Colorado Plateau. Geek out over the rock specimens and interactive Earthquake exhibits and get dirty with the muddy erosion learning area. The Great Salt Lake is the salty dregs of the giant prehistoric Lake Bonneville that once sat in the Salt Lake Valley. This exhibit explores the history of this unique body of water paired with a spectacular view across the valley of the lake itself. Dinosaurs! Big scary skeletons of the beasts that once roamed the land are the highlight of this exhibit (and the museum). 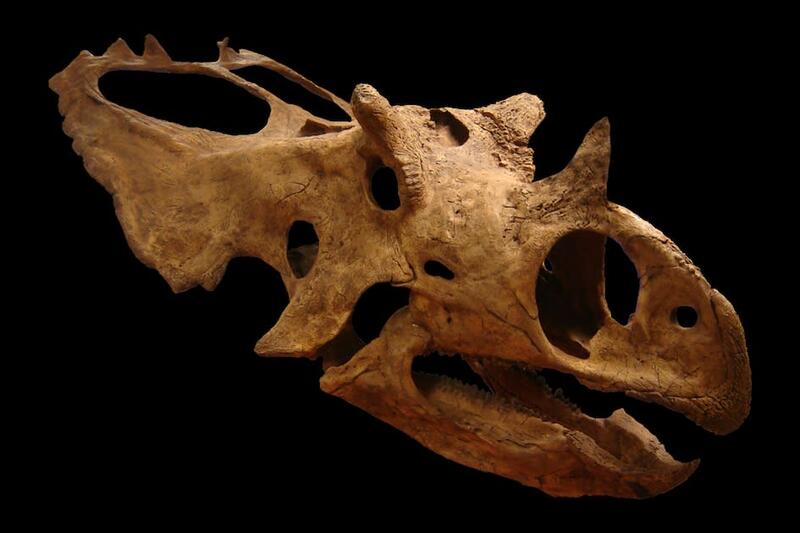 There are over 30 skeletal reconstructions on display, including a Gryposaurus (duck-billed) dinosaur made of original fossil material and the world’s only display of 14 Ceratopsian (horned) dinosaur skulls. The story of Great Basin’s prehistoric peoples is told while placing visitors in the shoes of archaeologists who use science to interpret the past. Explore Median Village, a reconstruction of an actual archaeological dig site excavated in the 1960s in Sevier County, Utah. 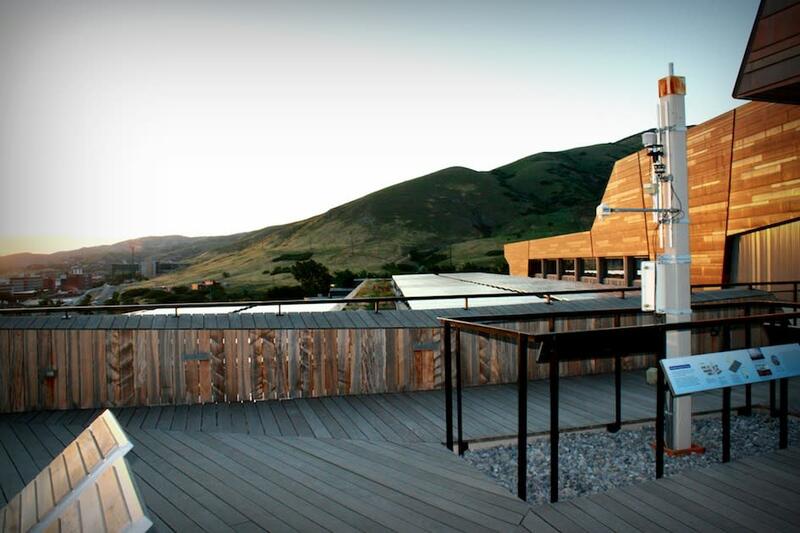 Located adjacent to the rooftop terrace, you can explore weather, climate, astronomy, and the sun while enjoying the museum’s most jaw-dropping views. The traditions of Utah’s native people are featured in this circular gallery nestled in the hillside at the top of the building. Designed in consultation with Utah’s Indian tribes, this exhibition depicts Native American art and culture and interprets the deep memory and contemporary presence of Utah’s indigenous people. The museum hosts a steady rotation of special exhibitions that examine natural history in new and thought-provoking ways. These exhibitions have (and will) cover such topics as extreme mammals, natural disasters, chocolate, and poison. The museum’s store is a treasure trove of fun and educational gifts for the little scientist in all of us and one of the best places in Utah to find unique jewelry created by local artisans and based on Navajo and Shoshone tribal designs. 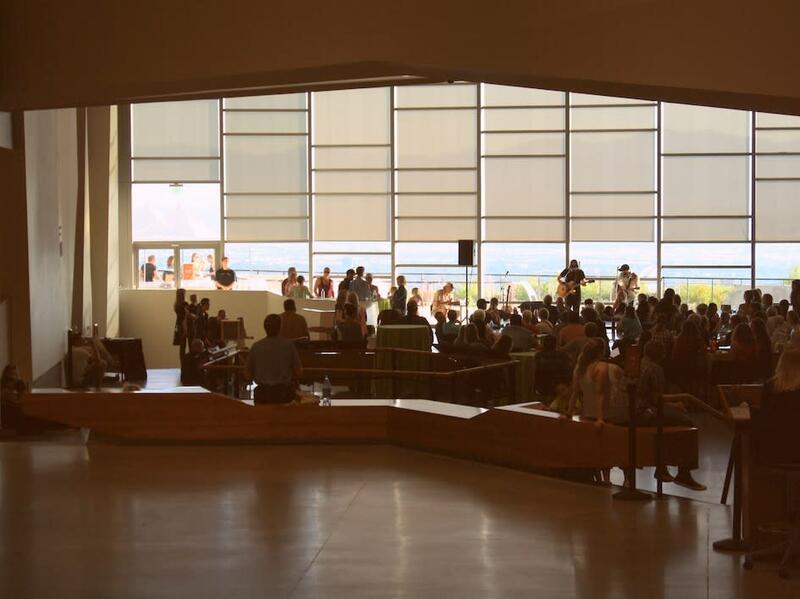 The museum’s cafe is known for offering locally sourced ingredients in a stunning setting. Goods from local purveyors Stoneground Bakery and Silver Bean Coffee Company among others punctuate an excellent breakfast and lunch menu, including gluten-free, vegan, and vegetarian options. Don’t miss the famous iced Dinosaur cookies for a post-museum treat. Special events happen regularly at the museum, so check the events calendar for information about science movie nights, architecture tours, lectures, and more, including the popular NHMU After Dark events. If you have an event of your own in mind, the Natural History Museum’s various spaces, from the main grand hall (known simply as “Canyon”) to the Sky Terrace, are available for gatherings, weddings, receptions, corporate events, and more. Get details about renting the museum here. The museum also offers wonderful birthday-party and summer-camp programs for dinosaur-loving kids and budding mad scientists. Admission to The Natural History Museum of Utah is available as part of the Visit Salt Lake Connect Pass, which saves you 50-80% percent on regular admission prices to 13 of Salt Lake&apos;s most fun attractions. Learn more about the Connect Pass here.